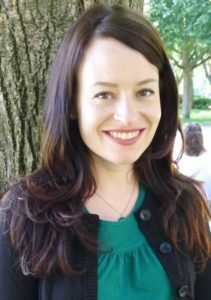 Alice E. Marwick is an Assistant Professor of Communication at the University of North Carolina, Chapel Hill and a Faculty Affiliate on the Media Manipulation Initiative at the Data & Society Research Institute. She studies the social and cultural implications of social media technologies, and is best known for her work on media manipulation and disinformation online; micro-celebrity; online privacy; and context collapse. Her first book, Status Update: Celebrity, Publicity and Branding in the Social Media Age (Yale 2013), looked at how Silicon Valley folks used early Twitter for self-promotion in the mid-2000s. She is also the author of numerous academic papers and popular articles on social media and co-editor of The Sage Handbook of Social Media (Sage, 2017). She lives in Chapel Hill, NC and likes pop culture, feminist science fiction and high femme fashion.